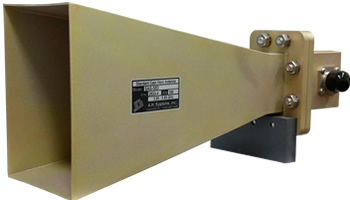 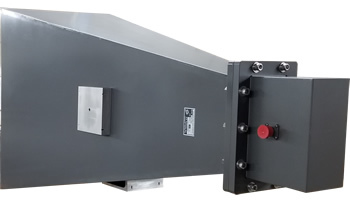 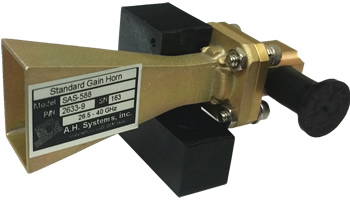 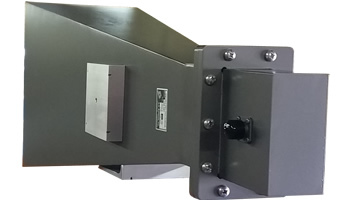 The Standard Gain Horn Antennas are designed specifically for utilization in emissions and immunity testing over the frequency range of 1 to 40 GHz. 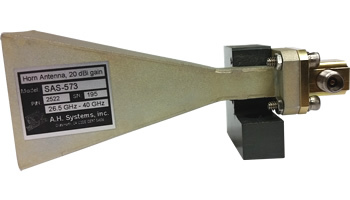 Each antenna is linearly polarized and has medium gain, low VSWR, and constant antenna factor. 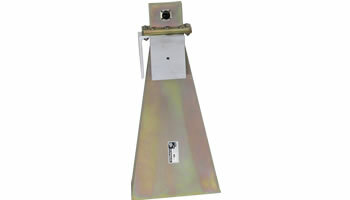 The Standard Gain Horn performance is very precise and predictable through design parameters. 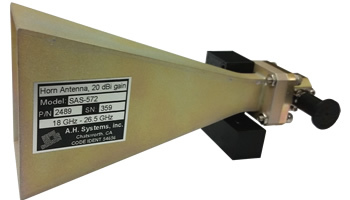 Comparisons of measured versus computed antenna factors and gain have been shown to be +/- .5 dB. 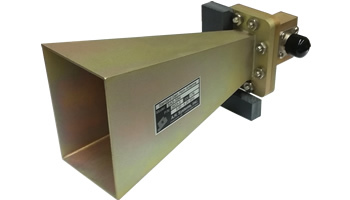 Therefore, the antenna is considered to be a standard reference, similar to that of a resonant dipole below 1 GHz. 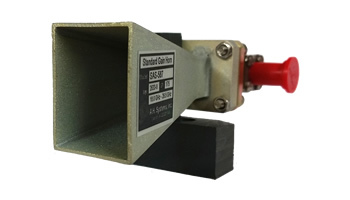 The coax-to-waveguide adapter is the only power-limiting component on the antenna and can be removed if high fields are desired. 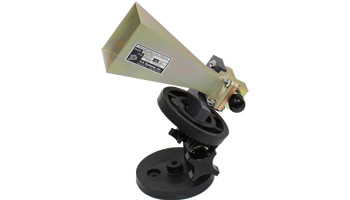 Each Standard Gain Horn comes with a tripod mount that adapts to any tripod with 1/4-20 male threads. 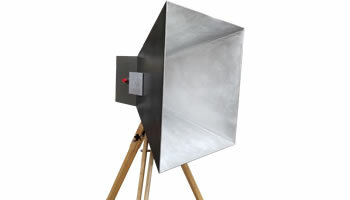 Horizontal and vertical polarization is obtained by rotating the antenna on the tripod. 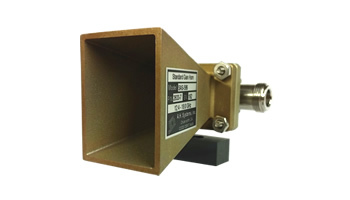 Gain: 15 dB, also available in 10 dB or 20 dB gain.